The NCAA Tournament is great because it’s such a terrible idea. Can you imagine someone suggesting a 64 team, single elimination tournament in 2015? Look at football. There was endless bellyaching and arguing just to get to a FOUR team playoff. Advancing in the tournament is such a crapshoot, it essentially means nothing. And yet it means EVERYTHING. It’s why we think Tom Izzo is a great coach and Rick Barnes is a terrible one. It’s why people question Gonzaga’s success. It’s the reason coaches get paid and players get noticed. But really, it’s a bunch of dizzy blindfolded drunks trying to catch a greased up pig. Two of the five best teams in America (Villanova and Virginia) are sitting at home. UCLA, who unequivocally did not deserve to receive an at-large bid to the tournament, will play on Friday night. So what happens the rest of the way? And how did we end up where we are? Let’s go team by team, looking to the past and future, to wrap our heads around the Madness. How they got here: Big Blue breezed past Hampton before having some trouble with Cincinnati. Kentucky had some difficulty scoring against a fiesty Bearcats defense in a game that got chippy in the second half. 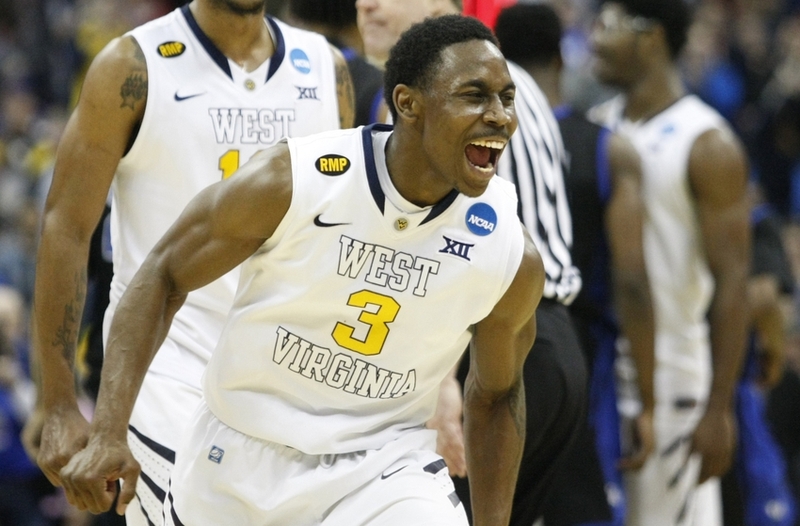 How they keep going: West Virginia can beat Kentucky in the next round. Their pressure defense is relentless and Devin Williams is a beast. The Kentucky big men are as athletic as anyone, but they have had trouble with wider and stronger bodies. If Williams goes nuts on the boards and the Kentucky guards turn the ball over, it’s possible. I don’t necessarily think this will happen. Even if the Harrison twins struggle against pressure, Tyler Ulis should be able to steady the Cats. After that, Kentucky would get the winner of Notre Dame-Wichita State game, both of whom could end the perfect season. 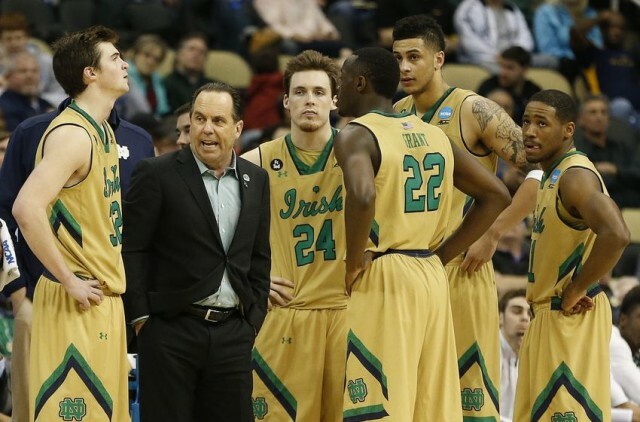 The Irish offense is so sharp that they can outscore anyone. Plus, the “Jerian Grant Super Mario Star” game hasn’t happened yet and is fully in play. Wichita State’s guards can outplay Kentucky’s and the Shockers will relish the chance to return the favor for the Cats ending Wichita State’s perfection last season. Again, I don’t really think that happens. I would be surprised if Kentucky lost, but I would not be shocked. If pressed, I’d be willing to bet the Cats make it to Indy and they are still the heavy favorites to win the entire tournament. How they got here: The Dukies skated through Charlotte relatively easily, with big wins over Robert Morris and San Diego State. How they keep going: If I’m a Duke fan, I’m worried about Utah, but when Duke plays their best, they can beat anyone. A slip up of any kind can end their season. They keep playing well, and we get the King Kong vs Godzilla/Duke vs Kentucky match-up we all secretly want. How they got here: After trampling Coastal Carolina, the Badgers got a nice test from Oregon in the second round. How they keep going: So, this Frank kid ain’t bad, huh? He should be enough for Wisconsin to beat UNC, but beating Arizona is another animal. That game may be the best we see this weekend. No team has as many options defensively for Kaminsky and the Badgers as Sean Miller’s Wildcats can throw at them. How they got here: After Arizona dispatched Texas Southern, everyone thought they’d be in for a game against Ohio State. 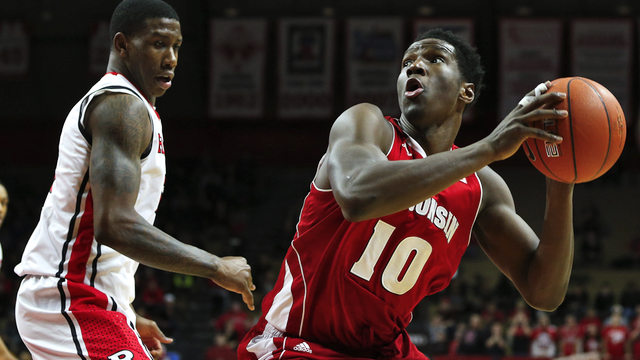 Stanley Johnson and D’Angelo Russell are among the best freshman guards in the nation. They shot a combined 4-31 and the Wildcats won an ugly game easily. How they keep going: I’d say Stanley Johnson can’t have another 1-12 shooting day, but the Wildcats’ balance allows for them to survive. 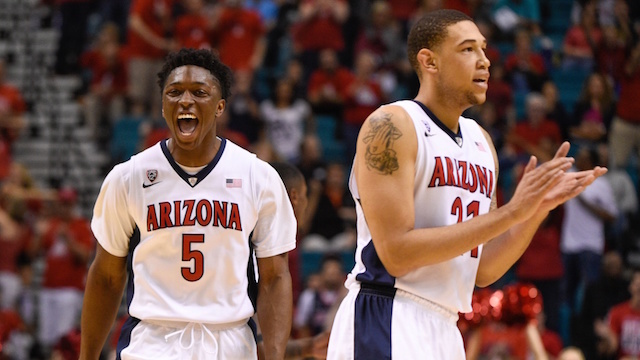 No one, including Kentucky, has Arizona’s combination of guards and bigs that can compete with anyone. A battle with Wisconsin is looming. Arizona is capable of beating the Badgers, but Wisconsin and Kentucky back-to-back is a tall task. How they got here: I’m not even sure how they beat North Dakota State. I blacked out after Josh Gad made his 7th fadeaway hook shot. The Iowa game I remember vividly. The Zags offense couldn’t have been better in the first half, scoring 46 points. How they keep going: As a Gonzaga fan, I don’t say this lightly, and I don’t even think you’ll believe me, but UCLA is the scariest team left for the Zags in the South Region. Sure, maybe it’s all lingering hangover mojo from the last Gonzaga-UCLA Sweet Sixteen game (WHICH I WILL NOT LINK TO, LEST I START CRYING). But the Bulldogs may be built to beat Duke or Utah better than to hold off a fiesty Bruins team. Kyle Wiljter is the key. Not only does he need to score, his defense is crucial. He struggles to match-up with both true power forwards or stretch 4s. Against Iowa, they hid Wiltjer against Peter Jok, a guard who isn’t a threat to score. How they got here: After surviving a scare from Northeastern, the Irish needed a wild overtime to defeat Butler. No team still alive played two closer games. How they keep going: It’s all about their offense. Their defense matters, but they aren’t winning with it. Their offense is elite and can outscore anyone. If Steve Vasturia and Pat Connaughton get and stay hot, plus some big buckets from Jerian Grant, the sky is the limit. How they got here: The Sooners topped an overmatched Albany team and an exhausted Dayton squad to advance to the second weekend. 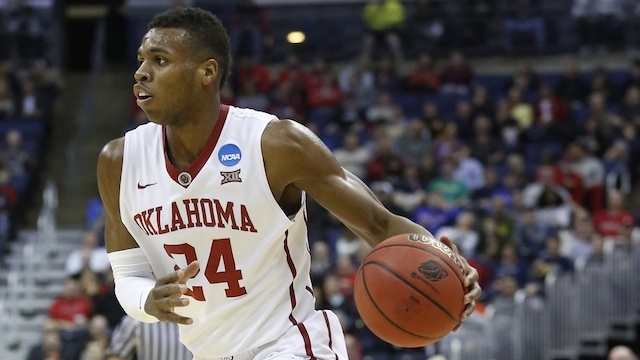 How they keep going: Buddy Hield has been solid, scoring 15 points in each game so far, but for Oklahoma to make a deep run, he needs to be more than solid. The Big XII Player of the Year needs to be able to carry his team through tough stretches, on both ends of the floor. How they got here: Any list of bad calls in this tournament had better start with the gift Louisville got in the first round. Leading UC-Irvine with fouls to give, the Cardinals took two fouls to wind down the clock and not allow the Anteaters to get a good look. Still with a foul to give, Louisville guard Terry Rozier reached in, presumably to give the foul. The foul went uncalled and the Cardinals snuck away with a win. They followed that by topping a less athletic Northern Iowa team. How they keep going: Rick Pitino couldn’t feel better about his team’s region going into the second weekend. Gone are powers Villanova and Virginia. Cinderellas and sleepers remain. 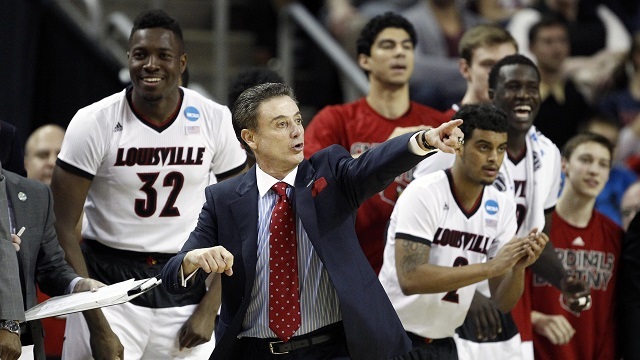 Ever since Chris Jones dismissal from the team, Louisville’s offense looks much sharper. Before, Jones and Rozier looked to create everything off the dribble, often forcing shots. Jones has been replaced by freshman Quentin Snider, a more willing passer who makes everything run smoother. Keep that up, with some usual Louisville defensive intensity, and they can find their way to Indy. How they got here: Harvard gave the heels all they could handle in the first round. Arkansas was no picnic either. How they keep going: In the immediate future? Stop Frank Kaminsky. Easier said than done. Bigger picture? Brice Johnson is the key. His ability to hit the glass and provide secondary scoring for Marcus Paige helps make the Heels more well rounded. How they got here: The Mountaineers beat a plucky Buffalo squad and made drove Maryland crazy, forcing 23 Terp turnovers. How they keep going: More of the same. Kentucky brings the most talent off of their bench, but West Virginia has the deepest bench by volume. Bob Huggins gladly plays more than 10 players every night out. The Mountaineers can cause anyone headaches by turning up the pressure and forcing turnovers. 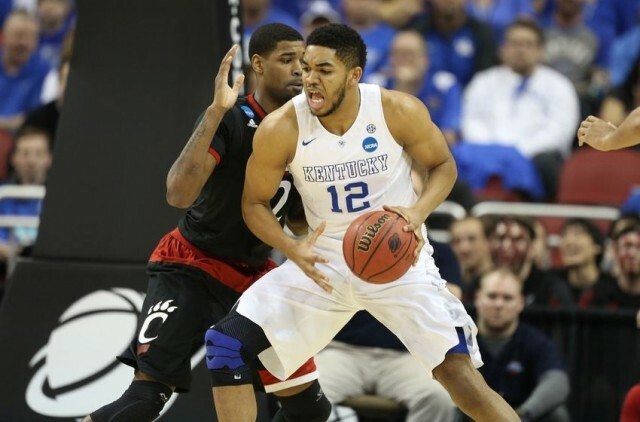 Five turnovers from each Harrison twin and upsetting Kentucky seems a lot more plausible. How they got here: The Utes beat popular upset pick Stephen F. Austin and sent Georgetown home in an impressive win. 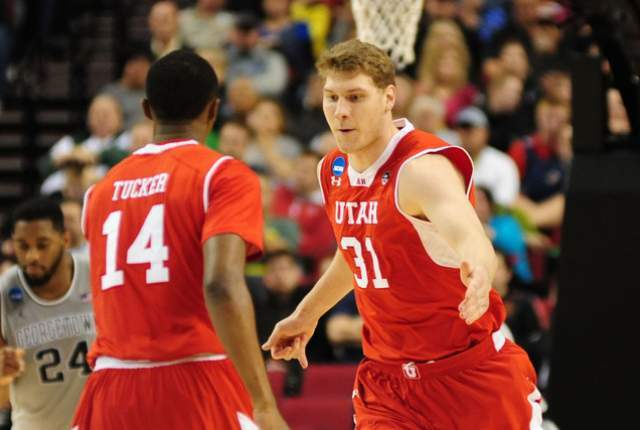 How they keep going: Utah poses a very interesting threat to Duke tomorrow night in Houston. Delon Wright and Jakob Poeltl perfectly test the Blue Devils strengths and weaknesses. 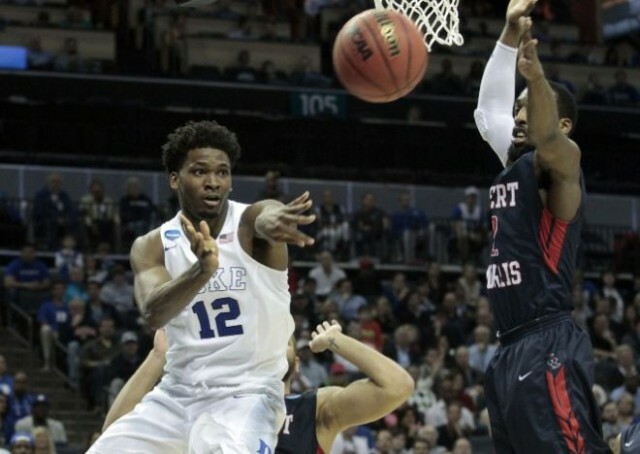 All season the Duke guards have struggled to halt penetration, which Wright will look to exploit. Inside, Poeltl will make Jahlil Okafor work on both ends of the floor. It may come down to who can defend the rim without getting into foul trouble. How they got here: The Musketeers had the pleasure of playing two teams that were hot coming into the game. First, they beat Ole Miss, fresh off of their comeback victory in the First Four. Next, they took down America’s favorite underdogs, Georgia State. How they keep going: They’ll need to take their play to another level to take down their former head coach Sean Miller and Arizona. 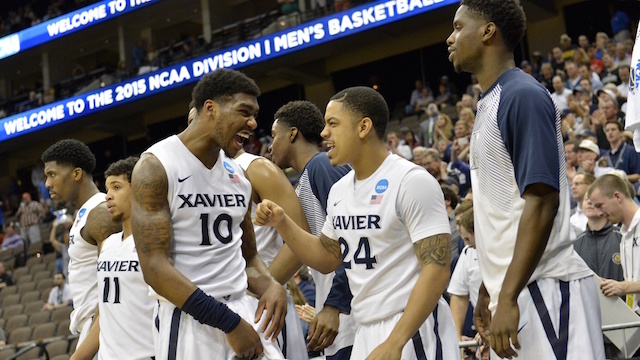 Xavier hasn’t been able to piece everything together to pull off a signature win this season. They get a perfect chance tonight. How they got here: Following a win over Georgia, Sparty gave us one of the best games of the tournament so far in their win over Virginia. Travis Trice was sensational early on and Michigan State held off the Wahoos the rest of the way. 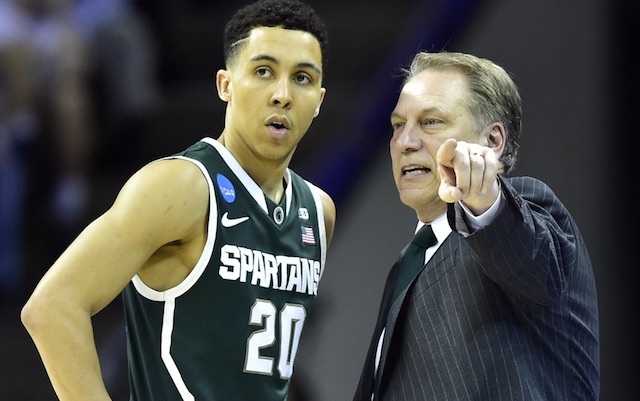 How they keep going: Tom Izzo is a wizard in March, so I’m not putting anything past them. When push comes to shove, I don’t know that they have the talent to continue a very deep run, but I’m not counting Izzo out. He has pieces to work with and a wide open region. How they got here: They beat Indiana in first round game that no Shocker fan even remembers at this point. That’s because they then took down in-state foe Kansas. WSU and KU aren’t exactly rivals. Rivals tend to play each other. Instead, the Jayhawks refuse to schedule a game with Wichita State. The Shockers, and their fans, finally got their chance to take on the big brother, and they capitalized. How they keep going: Guards win in March, and you’d be hard pressed to find a better backcourt than Ron Baker and Fred Van Vleet. 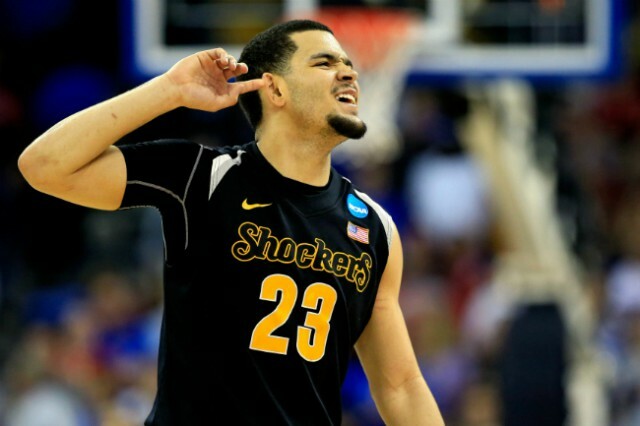 If Van Vleet can control the game and Baker can climb ot of a scoring funk, the Shockers can beat Notre Dame. And they might be hellbent on doing so, with the revenge game against Kentucky on the horizon. How they got here: One week ago, the Wolfpack found themselves down 16 the second half against LSU. Since then, they charged back to win at the buzzer, beat top seeded Villanova, and danced into the Sweet Sixteen. 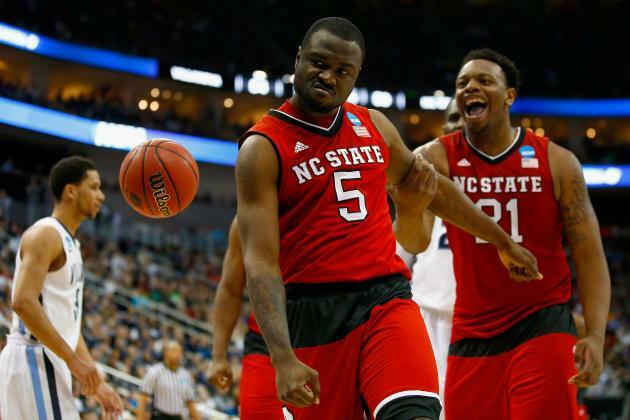 How they keep going: NC State’s successes have been balanced by their failures. Sure, they’ve beaten Duke, UNC, and Villanova, but they lost to Wofford, Wake Forest, and Boston College. They are a high variance team, with a high ceiling and a very low floor. In their previous meeting, they beat Louisville on the road. They are capable of doing so again, but they are just as capable of laying an egg. How they got here: The Bruins nipped SMU late, helped by The Goaltend Heard Round the World (which I thought was the correct call) and smoked upset darling UAB. How they keep going: Gonzaga beat UCLA earlier this season, but that was a different Bruins team. This current iteration is scoring much more effectively, in part due to hot shooting from Bryce Alford. If he can get open looks against WCC Defensive Player of the Year Gary Bell and Tony Parker (large American, not little French guy) can battle inside against the Zag bigs, they have a chance. 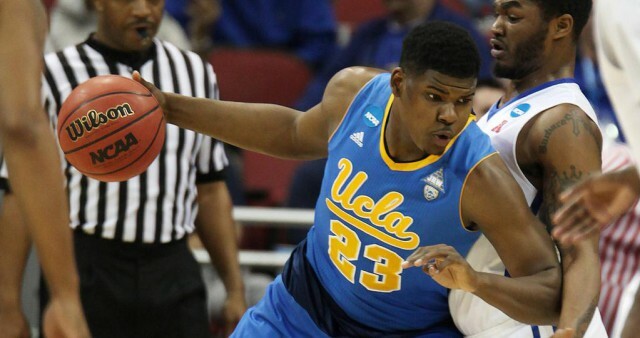 Kevon Looney is the player to watch. He’s been all over the glass recently and the Zags don’t match-up well with him. He should be able to push Kyle Wiltjer around and force Mark Few to make some tough decisions.